Behind strong serving, Roger Federer took care of business against Andy Murray Friday night at the Cincinnati masters. Always a chess match of sorts against the Brit, the Swiss maestro showed some of his best tennis this month. Although he only had three aces, the 5-time Western & Southern Open champion won 71% of points behind his first serve, and was impressive in winning many longer rallies. With one break, Federer took the opening set 6-3, but the second set saw a reversal, with Murray using his strong return game to take a 4-1 lead, up two breaks. Then Federer stole the set. The 33-year-old Swiss maneuvered his opponent around the court with absolutely no rhythm, frustrating the Brit into going for bigger shots than he was comfortable with. 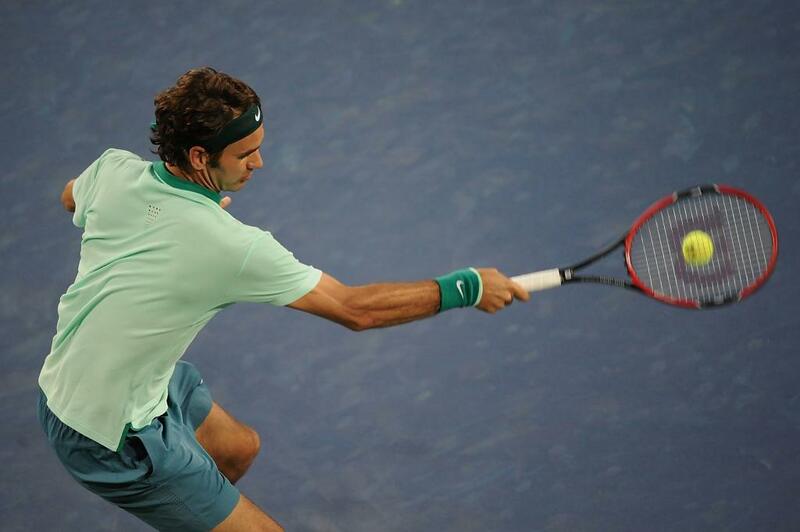 Not before long, Federer evened the set at 4-all, and earned his fifth break after Murray’s forehand hit the net. Federer advances to the semifinals with a 6-3 7-5 win. He will face Milos Raonic Saturday night in Cincinnati. In the first semifinal, David Ferrer faces Julien Benneteau.